Ah pizza…the cause of many Twitter scuffles and heated conversations for me. Frankly, so far in this city, there are few, if any, pizzerias that have impressed me. And I don't really care that people claim "x"or "y" is UH-MAZING. 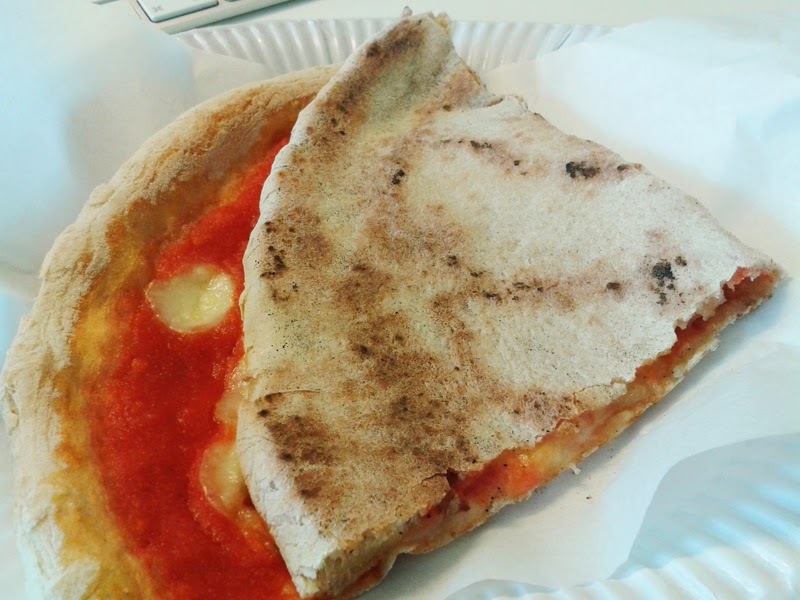 It maybe amazing compared with the Domino's and frozen pizzas that some may have dared to put in their mouths in the past but none of the skill in crafting the dough has really compared to true Italian pizza, either Neapolitan or the thicker style from Rome. It's a simple beast really but quality of ingredients and handling of the dough is everything. Details that some overlook entirely. Crikey, look at Pizza7 who had everything apart from a decent dough going for it. That went up in flames in a matter of months. But Kindlewood Pizza is a welcome addition to the gourmet train station we now have at Brighton. 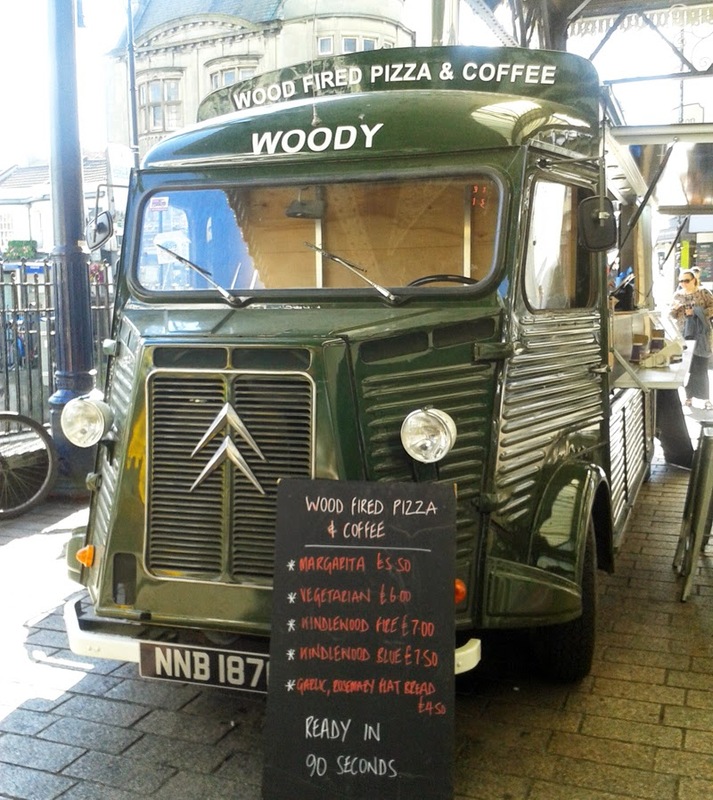 This mobile pizzeria is housed in a beautifully restored 1969 Citroen H van, pride of place outside on the forecourt. As mobile eateries go, this is one of the most gorgeous for sure. There are very few vans I would contemplate pulling up a chair to eat lunch from but I could happily do so in my heels here. The team behind this venture are Café Coho who have two successful and very good cafes in Brighton. They certainly know a thing or two about the food industry so I think this is a nice off-shoot for them. When trying pizza, I always start with a Margarita and it was pretty good. I like the fact you can order a half pizza to go at a mere £3 and whole ones start from £5.50. They cook in a matter of seconds too so this is a great place to grab a bite on the fly or linger a little longer on the bar with a San Pelligrino. The base was probably a bit too thin (I suspect they roll rather than mould the bases by hand) but crisp and just charred enough to give you the delicious flavour from the wood oven. The dough was well seasoned as was the sauce, with the right amount of basil. For once I didn't have any complaints on either the amount of cheese or sauce. 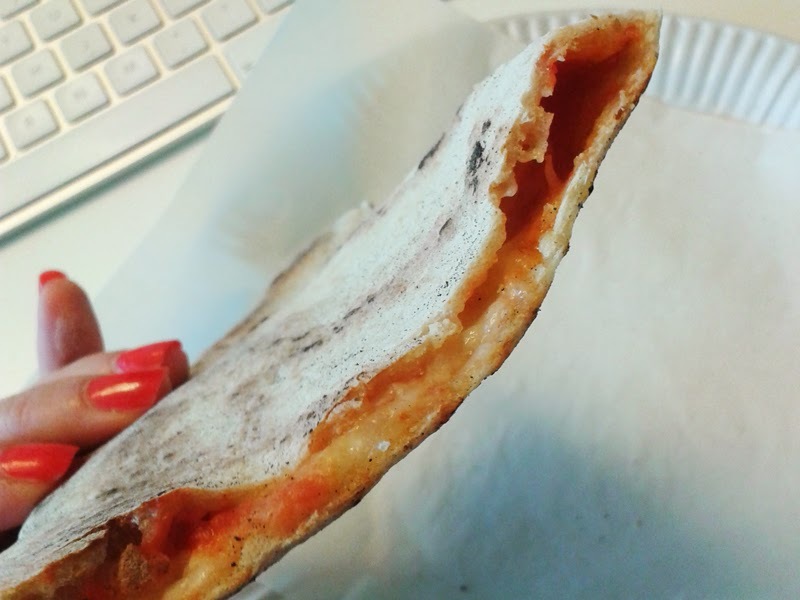 You could easily eat the slice without anything sliding off or any wrangling with a floppy corner. Eating pizza straight away from the oven is best but if for any reason you have to take-away I like that they have avoided the use of boxes which would be an environmental frown. A simple paper plate and greaseproof paper is all that's used and needed. My studio is mere stone's throw so lucky me! Even if you don't have a train to catch, make an effort to visit Kindlewood. Pull up a stool and try a pizza, deliciously mouth scolding hot from the oven. As it should be. Would I go back and make a dent in the other pizzas? I'm not quite ready to renounce my nationality but I'll absolutely revisit. And there isn't anyone else I can say that about so far.